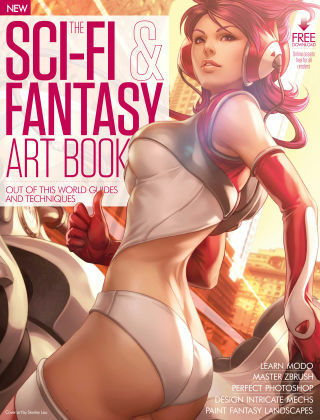 With Readly you can read The Sci-Fi & Fantasy Art Book and thousands of other magazines on your tablet and smartphone. Get access to all with just one subscription. New releases and back issues – all included. Whether your specialism lies in character creation, fantastical creatures, concept artwork or landscapes, the latest edition of The Sci-fi & Fantasy Art Book has something for you. Covering programs including Photoshop, ZBrush, Maya, 3ds Max and MODO, we delve into techniques and ideas with the help of expert artists. Produce beautiful designs and get top tips on how to create everything from sci-fi vehicles to a 3D alien character.